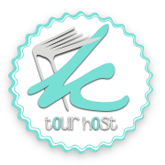 July New Release Giveaway Hop!!! I’d pick The Forsaken. Maybe. i dont’ know. 😀 There are so many good books coming out this month it’s hard to choose! I would love to win Something Strange & Deadly. Thanks for the giveaway! I would pick Tiger Lily or Seraphina! Tough choice. I would like Something Strange & Deadly. Thank you for the giveaway! I think Tiger Lily Thanks so much for the giveaway! I’d like to win Pushing The Limits. Probably ‘Tiger Lily’, I’m really looking forward to reading it! Seraphina sounds like a good read to me! Thank you so much!!!! I’d pick So Close To You – I hear it’s awesome! I’d choose Pushing The Limits! I would love to win for Seraphina. So Close to You! Love the cover! I’d pick Tiger Lily Thanks for doing this! I think The Foresaken. But I’m intrigued by Pushing the Limits as well! I´d pick Pushing the Limits. Thank you for the giveaway. I would pick Pushing the Limits by Katie McGarry. I think I’d pick Seraphina or Something Strange and Deadly. Thanks for the giveaway! Love your faces! I would love to win Something Strange and Deadly or Pushing the Limits. Debating between Something Strange and Deadly and Pushing the Limits. I would choose the Forshaken! I’d pick Tiger Lily! I want that book so much. :] Thanks for the giveawy! My first choice would be Pushing the Limits. I’m really looking forward to reading that one! Thanks so much for the great giveaway Dani! I would definitely pick Seraphina. Dragons and mysteries and murder, oh my! It’s hard to beat that. Thank you for the giveaway! I would love a finished copy of Pushing the Limits! Thanks for the giveaway! I’d love Seraphina or Tiger Lily! I’d love The Forsaken or Something Strange and Deadly. Miss talking to you, Dani! Pushing the Limits; thanks for the giveaway! I would choose… oh my gosh I would probably choose any of them. Seraphina or Pushing the Limits. Sorry! That’s not very conclusive. But then again… The Forsaken and Something Strange and Deadly look great too! I wouldn’t mind getting Tiger Lily. I don’t know much about So Close to You, but I’ve seen good reviews. So…yeah. I’m so good at decisions. Not that there’s much of chance that I’ll win anyway. But thanks for the giveaway!!!! I would love Something Strange and Deadly! 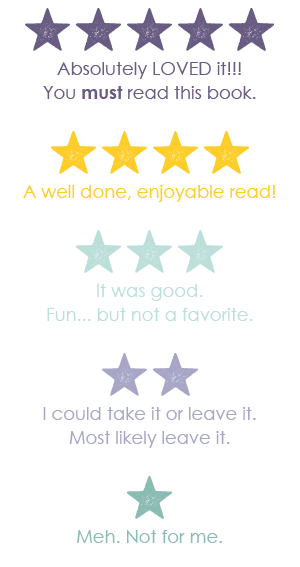 I would pick Pushng The Limits ’cause it sounds amazing and lots of reviewers have been praising it so much! I would choose Something Strange and Deadly. Thanks for the chance to win! I’d pick So Close to You! Thanks for the giveaway! Pushing the Limits or So Close to You. I would probably pick The Forsaken. I would for sure go with Tiger Lily!!!!! I would love Something Strange and Deadly. Thanks for the giveaway! Tough one. Either Something Strange and Deadly or Pushing the Limits. 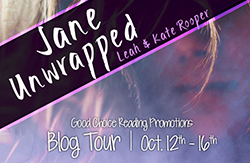 They both are on my TBR list. Thanks for the giveaway! That’s such a hard question! Tiger Lily looks promising though! I would pick So Close to You. Thanks for the giveaway. 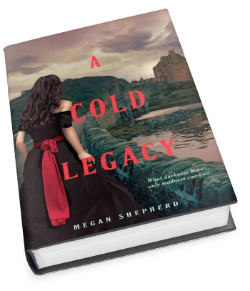 I’d most likely have to pick “Seraphina.” I’ve heard so many great things about it! 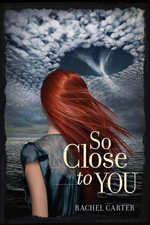 I’ve really have been wanting to read So Close To You. Thanks so much for the chance to win! hmm, I’m going to go with Pushing the Limits b/c I’ve heard such great things about it. Tiger Lily! No doubt about it! Such a hard choice, but I think I’d go with The Forsaken. I would pick Tiger Lily. I’m torn between Pushing the Limits and Tiger Lily! I would choose something strange and deadly. Been seeing some great reviews on it. well seeing as I already have Forsaken I sooooo want Tiger Lily Thanks for a great giveaway. I would pick either Pushing the Limits or Something Strange and Deadly. I’ll pick Pushing the Limits. Thank you! I’d pic Something Strange and Deadly. Tiger Lily, or Seraphina…I want both equally badly! Awesome choices! I’d choose The Forsaken. Thank you for the giveaway! 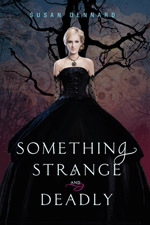 great giveaway,,thanks for the chance to win..
i would choose : Something Strange and Deadly..
Look at that awesome cover! Pushing The Limits, but really I’d take any of them. They all look great! I’d pick seraphina. Thank you! Seraphina, Something Strange and Deadly or Tiger Lily. I NEED to read Pushing the Limits! Thanks for the giveaway! I’d pick either Pushing the Limits or Tiger Lily, I can’t decide which!!! Great selection of books. If I have to pick just one I’d choose The Forsaken. I am between Forsaken and Tiger Lily. Thanks for the giveaway!!! I’m torn between Forsaken, Tiger Lily and Seraphina! I would pick Pushing The Limits. Thanks for the giveaway! Thank you for the great giveaway! I would love to get my hands on Tiger Lily. I’d definitely choose Tiger Lily! 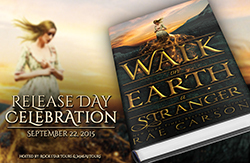 I would love to win Something Strange and Deadly!!! I’d choose The Forsaken Thank you! I would like to pick so close to you. Thanks for the giveaway. Tiger Lily, I think it sounds great! I’d choose So Close to You! Thanks for the awesome giveaway! I’d love Pushing the Limits! I would be pick, Something Strange and Deadly. I will probably go with Seraphina. I’d pick Something Strange and Deadly! Thanks for the giveaway! I would choose Pushing the Limits. Thanks for the giveaway! I would pick Tiger Lily. Thanks for the giveaway! Maybe Pushing the Limits? 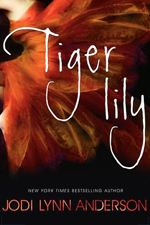 Or Tiger Lily since the cover is pretty! I would like to pick either Pushing the Limits or Tiger Lily. Thanks! I’m dying to read Tiger Lily! I’d think I’d go with The Forsaken. Thanks! I think I’m going to choose Pushing the limits. Thanks for the giveaway and for making it international! I would want Forsaken!!! Thank you for the giveaway!!! I’d want to have Pushing the Limits!!!! The giveaway is awesome!!! I would love to win Tiger Lily. Thanks for giveaway!! Pushing the Limits OR Something Strange and Deadly! I’d pick Pushing The Limits or Something Strange and Deadly. Tough choice! I would pick Something Strange and Deadly. Tigey Lily, keep hearing about it! 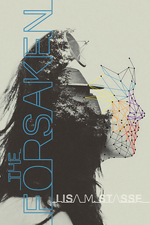 The Forsaken! Thanks for the chance to win. Thanks so much for this giveaway! I’d choose Seraphine or Something Strange and Deadly if I won. 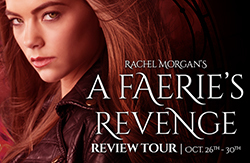 I would love to read the Forsaken…thanks for the giveaway!!!! i would LOVE Seraphina!!!!!!! I one all the choices but I’d have to go with that one! Thanks so much! Happy July! I’d love to read Pushing the Limits or Tiger Lily! Seraphina or so close to you. I’m totally pining for Something Strange and Deadly, and The Forsaken. Thank you! Thank u for this awesome giveaway. So hard to choose, but I’d love to win The Forsaken. The story sounds great and loved the cover. Serephina, I think. Thanks for the great giveaway! I would love to win Seraphina. Since I’ve already pre-ordered Pushing the Limits and The Forsaken, I would definitely choose Seraphina, sound like a really good one. I would pick either Something Strange and Deadly or Tiger Lily.. I would pick The Forsake because I really want to read it and when I went to my local chapters they didn’t have any copies!!! I think I would pick Something Strange and Deadly. Thanks! All of them!? I don’t know how I would choose but I reckon it would be between 1 of the first 5! I would pick So close to you. This book sound great! I’d pick either Tiger Lily or Pushing The Limits. Thanks for the giveaway & good luck everyone! I’d probably pick pushing the limits. Thank you! For me, I would pick Tiger Lily. I’d pick up Something Strange And Deadly or Pushing The Limits. Tiger Lily or Pushing the Limits. Thanks for the giveaway! I would like Something Strange & Deadly.. I would def pick So Close to You! Probably Tiger Lily or Pushing the Limits! I would go and choose Pushing the Limits. Thanks for a chance to win this fantabulous giveaway! TigerLily – for my wife. I would pick Pushing the limits or Something strange and deadly. Thanks for the giveaway! Tough choice Pushing the Limits or The Forsaken. I would pick Seraphina or Tiger Lily or So Close To You. Thanks for the giveaway! Thanks for this amazing giveaway! I would love to win and pick Seraphina! I definitely have a hard time choosing. 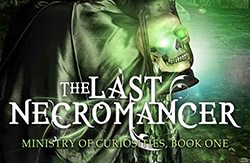 Probably Something Strange and Deadly or The Forsaken or . . . LOL Thank you for your generous participation in this fun hop. Such a tough choice! I’m looking forward to reading Tiger Lily and Seraphina~ perhaps Seraphina just a bit more. Maybe Tiger Lily. Thanks for the giveaway! Hard call! I’d pick Pushing the Limits or Something Strange & Deadly!!! Probably either Seraphina or Tiger Lily! I’d pick either Tiger Lily or Seraphina! tough choice! I’d pick either Tiger Lily or Seraphina. I’ve so been looking forward to those two! Gorgeous covers and I’ve heard only wonderful things about them! Awesome choices, Dani! I’d choose The Forsaken, thanks! Something Strange and Deadly! Thanks! Thanks for participating in the hop and for the giveaway opportunity. If I were to win, I would choose Pushing the Limits. Seraphina. I’ve read it and it’s great. The writing is beautiful. The story is well-plotted. Rachel Hartman really has a good grip on the narrator aka Seraphina’s voice. Good stuff. I would have a hard time picking. I guess I might pick Something Strange and Deadly. I’m torn between The Forsaken and Pushing the Limits, actually. But maybe I’ll pick the latter if ever I win. Thanks! I think I’d pick Tiger Lily. I would definitely choose Pushing the Limits! Thank you so much for the giveaway. 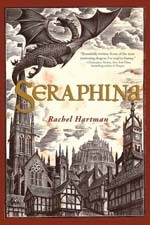 I would love to read Seraphina. I’d like to win Something Strange and DEadly!